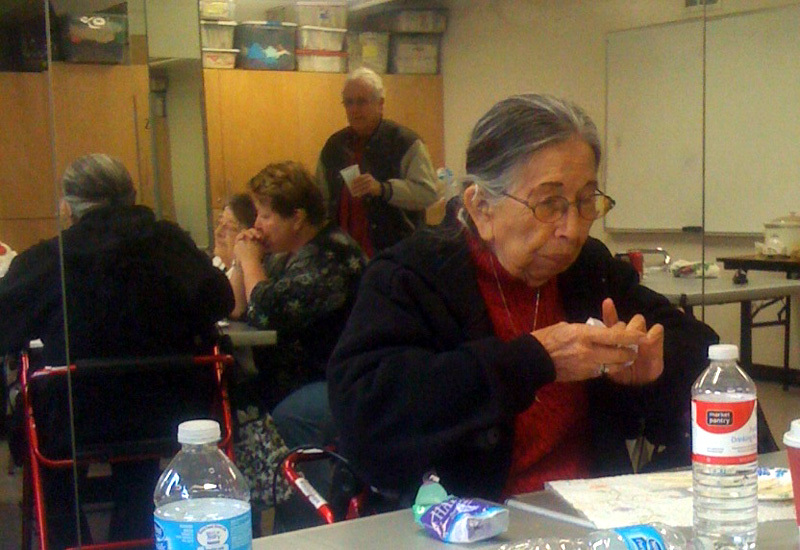 The Tonkawa Council of Elders was founded in 1974 by a consortium of American Indian individuals, many of whom were tribal seniors. At that time, they were employed by the San Diego Indian Center located downtown, on Fifth and Cedar. This organization and services no longer exist. 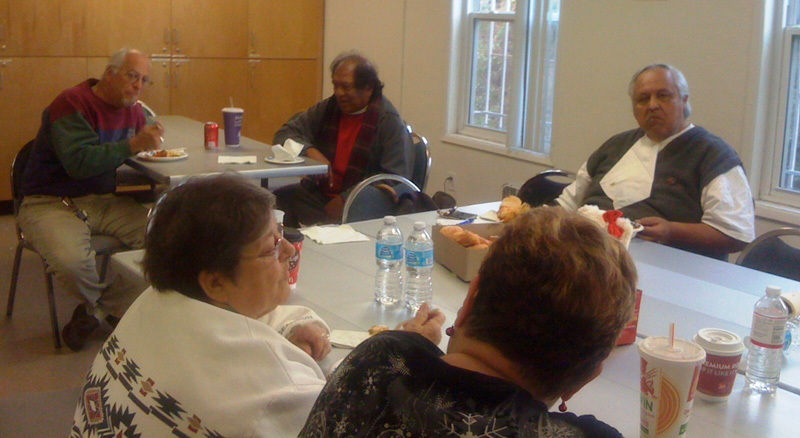 Tonkawa Council of Elders is the traditional rock of Native American wisdom for the new millinium. The purpose of the Tonkawa Council of Elders Development Project is to improve the quality of life for American Indian Elders. Our major focus is community development. 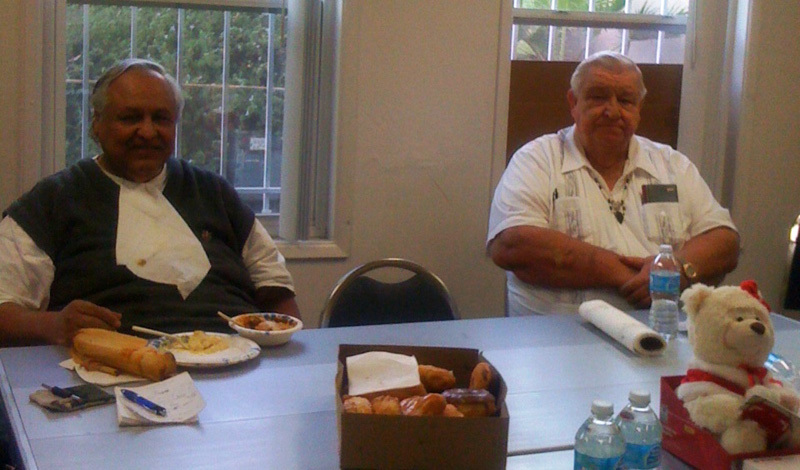 Our goal is to provide the resources to assist all American Indian elders in a respectful, traditional manner. To improve the quality of life for American Indian Elders we will inform and facilitate their access to services that will maintain them in their homes, as respected members of their communities and as keepers of our tribal custom and traditions. 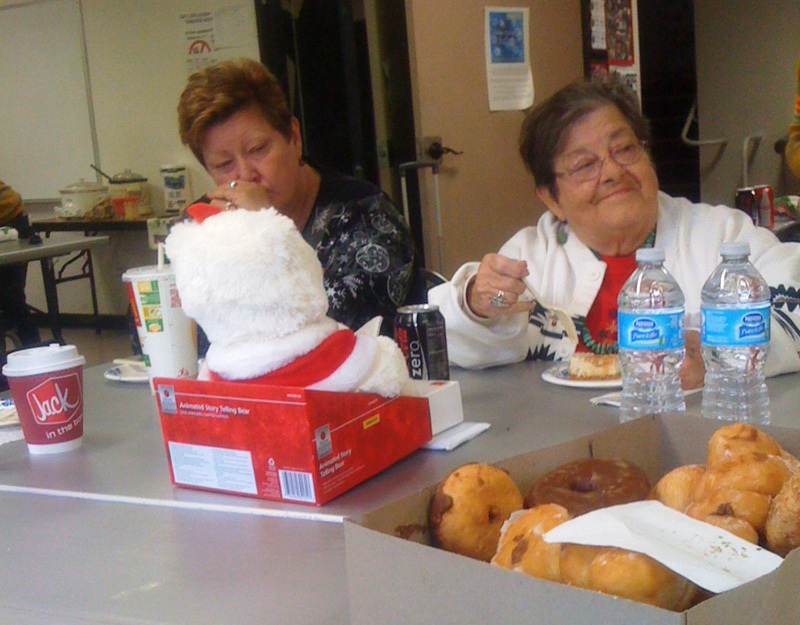 Our Holiday theme meeting produced a respectable TONKAWA turn out: Jerry and his assistant Rachel, Jean, Rita, Nellie. Ben, El Bisera, Roy and Bayside Community Center staff officer of the keys, Juan del Rio. Bayside Community Center 2202 Comstock St.
Our blessing and prayer was provided by Roy and goes out to benefit the health of our absent members near and far away and also family and friends having a hard time. Prayer is always particularly good at this stage of our elders life with medical procedures and medication prescriptions dominating much of the current life experience of the members. We took note of our cheery greeter Nellie Ruiz who was picked up by Jean Vigenault so she could attend this month. After organizational business and announcements: TONKAWA Treasurer Jean Vigneault received the bank statements, ATM card and checks to the Wells Fargo TONKAWA account. She will complete the required paperwork to transfer signatures and bank locations as necessary. She was also reimbursed for the past four dinners at the HTB and the Sunshine China Buffet. TONKAWA Holiday selections were most appropriate to the season and appetites in chilly weather, were all very tasty and healthy choices that added to the opportunity of community. Tamales beefy and fat accompanied by chili with beans, well seasoned potato salad with fresh bread and butter. Birthday cake, cheese cake and donuts sweetened the dinner feast. We sang a fine birthday song for Jean Vigneault and all those we might have missed over the transition to this new location. It is fine when we can gather together in fellowship and feast and enjoy each others life experiences and good company.